Its only two weeks into the Balloon Kenya program and it has already been an amazing experience! I’ve made some awesome friends with the other Fellows and Kiran and Doug, the program coordinators, have been great. I’ve also had some delicious local food such as Ndengu – a lentil curry; Pilau – a spicy rice dish; Kachumbari – a spicy topping for any dish and local vegetable and chicken curries. 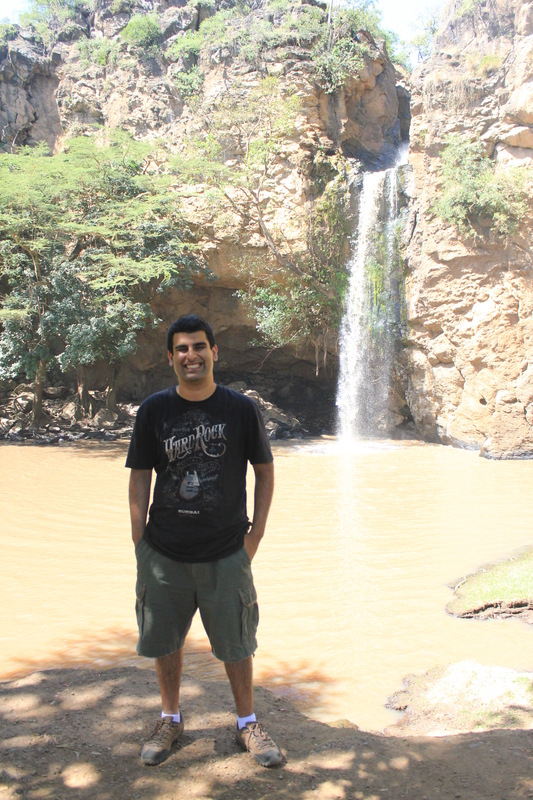 I’ve also had the opportunity to see some amazing places in Kenya. I travelled independently in Nairobi before the programme and went on a Safari in Nairobi National Park and the Giraffe Centre. With the Balloon Kenya group I’ve visited Lake Nakuru, returned for a second outing to Nairobi National Park and ate at Carnivore, where I tried Crocodile and Ostrich for the first time! It hasn’t all been plain sailing though. I managed to lose my passport just outside the Airport, which meant I had to visit the Australian embassy in Nairobi to get an emergency passport and then the local Kenyan Immigration authority, where I had to pay a processing and administration fee’ to some local officials. To rub salt in the wound someone found my original passport the day after it was cancelled. I also managed to injure my shoulder at the gym and get a stomach infection! I’ve already been to many of Kenya’s local services as a result – a hospital, immigration, a police station, a photographer and a pharmacist. I suppose it is all part of the experience! The purpose of my blog, however, is not to write about the sights and sounds of Kenya – as amazing as they have been. What I will write about is Balloon Kenya’s curriculum and its application to entrepreneurship in Nakuru. It has been the stand out feature of my experience so far. Balloon Kenya’s curriculum is comprehensive. As Fellows we were introduced to concepts such as entrepreneurship, creativity, customer development and the Lean Start Up, the Business Model Canvas (BMC) and Cash Flows and Profit Margins. The curriculum was not so much ground breaking in its content but in its teaching style. Instead of studying silently Kiran and Doug encouraged us to actively apply concepts to real world challenges. We watched videos and went through examples of Balloon Kenya entrepreneurs and companies worldwide. For the first time in ages I actually had fun learning! When we were introduced to the BMC, for example, we were asked to come up with a vending machine that fulfilled a need in Nakuru by interviewing people on the street. We then presented our idea to the class at the end of the day. The contrast with the fact based approach to learning taught in schools and universities could not be greater. As Fellows we have also had the opportunity to apply what we have learnt in two sessions with assigned entrepreneurs, which I found incredibly rewarding. Teaching entrepreneurs not only made me feel like I could make a difference at the grass roots level to people who need assistance but also helped me solidify my understanding of key business concepts. I found that the entrepreneurs lacked formal business skills, such as the ability to record cash flows, but had an implicit grasp on entrepreneurship and business in general that I lacked. A perfect example is the Marshmallow Challenge, where teams are required to build free standing structures that can hold a Marshmallow on top with limited resources. The challenge is supposed to teach the importance of building a business (the structure) around the customer (the Marshmallow). The Kenyan entrepreneurs grasped this basic fact better than we did as business students and were far more successful at the challenge as a result! I strongly believe that there is a great opportunity for education institutions around the world to adopt Balloon Kenya’s curriculum. Fact based education is slowly killing creativity and entrepreneurship and instead is creating a generation of professionals incapable of thinking of new ideas. Education also ignores the benefits of grass roots application of concepts and instead promotes learning centred on exams and tests. Teaching entrepreneurship and creativity in schools and universities through Balloon Kenya’s application based learning approach can bring back the fun in learning and will teach students to think laterally as well as literally. Having a teaching component to educational courses will enable grass roots application of concepts, enhance students’ understanding and help them make a difference to society. More and more students will be encouraged to become entrepreneurs and business owners and help find solutions to the world’s problems. In the future the world will have to find a more sustainable way of living – environmentally, socially and financially. Innovation and entrepreneurship – lateral, not just literal thinking – will be critical to finding solutions to these problems. How can we expect to solve the problems we face with the same thinking that led us to those very problems? Entrepreneurs and innovators are the key to our future, not professionals.